An analytic approach is presented to obtain a probability distribution function of the state-vector of piecewise linear systems which have two domains (half-spaces) of linearity. 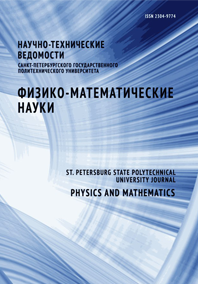 The approach is based on the use of the Pugachev – Sveshnikov equation for the characteristic function and its reduction to the parametric Riemann boundary value problem for half-planes. Crandall’s problem for anisotropic viscosity friction is solved as an example of application of the derived theory. The displacement of a body, placed on a randomly oscillating foundation, is explored. And the asymptotical behaviour of the mathematical expectation of this body’s displacement is obtained.